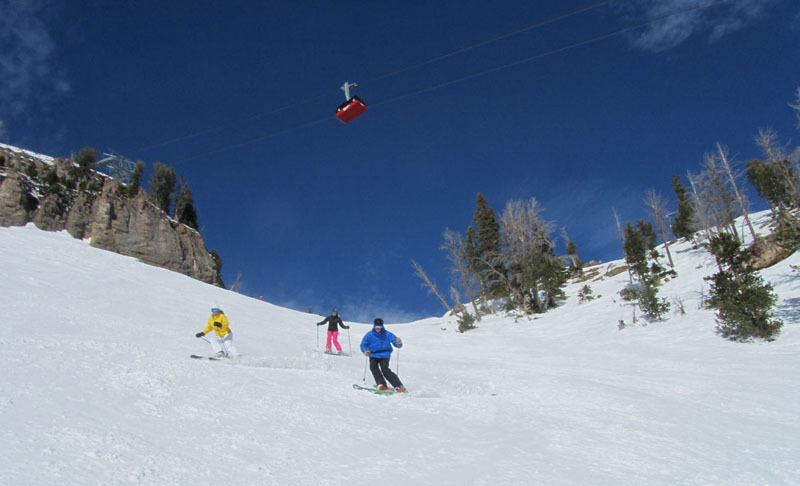 Jackson Hole offers 2,500 acres of skiing for all abilities on three separate summits from Rendezvous Mountain (served by four quads and a $31 million tram in 2008) and Après Vous which offers great intermediate groomed cruisers. The Teton Express now serves backcountry style terrain in Grand Canyon. A modern eight-passenger Bridger gondola serves the center of Jackson Hole, launching from the base up 2,800’ vertical to a spectacular lodge and a great lunch spot – Couloir at 9,095’. Jackson’s mid-mountain Casper quad serves blue wide open cruisers, and the lower mountain has a handful of gentle groomed beginner boulevards. For skiing families, Jackson Hole has a full service Kids’ Ranch ski and snowboard program, a Burton Stash natural terrain park, and full service slopeside lodging at the Teton Village base. Jackson Hole’s best ski hotel is the Four Seasons Jackson Hole, it is five star from the extraordinary suites with scenic balconies, sensational food, and service that anticipates everything from buckling your kids’ ski boots, warming your fluffy robe and towel by the outdoor pool during your après ski soak, to providing s’mores by the outdoor firepits for family après ski and sophisticated cocktails for mummy and daddy too. 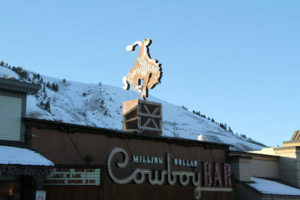 Jackson Hole is steep, so you might want to wait till your kids can master the mountain before visit Jackson Hole – so you can ski all this awesome terrain, but if you are anxious to go – then just grab your posse and your cowboy hat and giddy up. Jackson Hole gets big snow, over 475’ on average, but doesn’t get the big crowds given its location in wide-open Wyoming (the least populated state in the union), 12 miles outside of the cute cowboy town of Jackson.